Don't you forget that God in heaven will answer prayer. He would surely bring you out. ​I love this old hymn. Even now, if I close my eyes, I can hear my grandmother’s sweet voice singing it once again like she used to when I was a little girl… when times were simpler… when my biggest burden I had was deciding whether to play inside or outside for the afternoon. My burdens have grown with me as I have grown. Some are burdens that my poor decisions have created for me to carry and others are burdens I tried to carry for others. 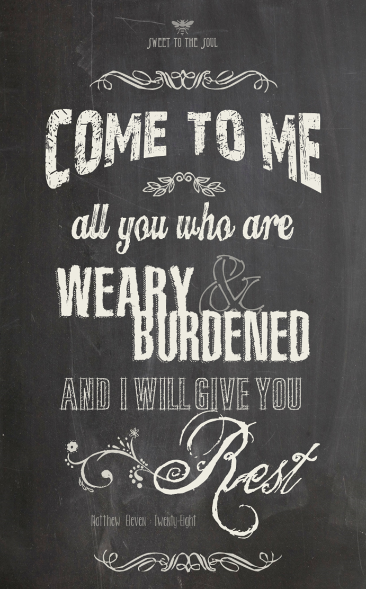 I take those burdens and do my best to lay them before the Lord, releasing them and myself into His care. I really do try to “leave it there”. But my enemy is a crafty one and attacks me when I’m least prepared… which makes him a strong enemy… one I cannot battle alone. Today that enemy caught me off guard again. To make matters worse, I wasn’t alone when he attacked. I was in the middle of a counseling session with a client. As she shared with me, I began to hear that dark voice saying, “Who do you think you are to counsel her?” He whispered all of his old lies into my heart fast and hard. “God can’t use you… look where you’ve been.” He even went as far as taking away the joy I had felt in my heart this morning and replaced it with the doubt he knew I would so easily stumble over. he will never let the righteous be shaken." I heard my Master’s voice, louder than the enemy’s. His words were like a gentle yet cleansing breeze blowing the soot of the doubt away. ​I began to call out to Him in mind as my client continued to share, oblivious of the battle raging in my mind! The enemy had come to destroy and devour me, but instead was conquered by the One who never forsakes me; never reminds me of where I’ve been but of where I am going. God was there to rescue me. He filled my mind with His words, His truth, leaving no room for painful memories or moments of doubt. Are you fighting the enemy? Does it feel like at times his lies are really truths? Don’t surrender to him! You have a much stronger ally! Kari has served in ministry for more than twenty years teaching Sunday school, hosting youth groups, and leading bible studies and women’s events. In her spare time, she can usually be found in her craft studio working on her latest projects. Whether doodling, painting, journaling, writing or experimenting with the latest Pinterest idea, Kari creates each piece of art for a purpose… to worship God and make Him known. Thank you, AmyFaith! "Take it to the cross, then tie it down with faith." I'm pretty sure you have given me my next Bible journaling art project! What a beautiful legacy your "Auntie" has left for you.